Turkey Collection Saturday is almost here! You can provide a meal to a family in need this Thanksgiving by donating a Frozen Turkey on Frozen Turkey Saturday. Bring a bird to the Phoenix Rescue Mission and stay for lunch and a tour of our Community Services Center. 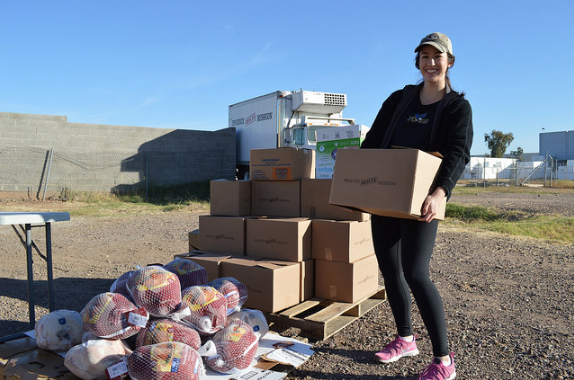 The Mission hopes to reach out to 1,000 families this Thanksgiving with a turkey and all the trimmings. Your frozen turkey is greatly needed to make this happen. Come bring a turkey and see firsthand how God uses your gifts to touch and change the lives of hungry, homeless and hurting men, women and children in your community. You will receive a tour of the facility and we will treat you to a delicious lunch. Bring a friend - the more the merrier! We are collecting frozen turkeys to cook our Thanksgiving dinner and give to families in need in our community for the holidays. This year marks six years of Code:Red. That’s six summers our community has come together to save the lives of our homeless neighbors caught in the deadly heat. Each year gets better and better and 2018 is no different. This summer, we distributed more than 900,000 bottles of life-saving water, gathered through more than 120 drives, to those who needed it most. And we have you to thank for it! 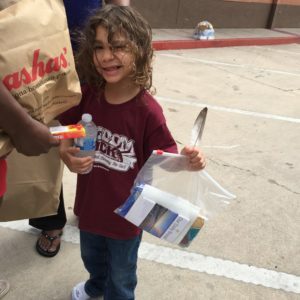 But it’s more than water that keeps people safe – through your matching gift this summer we also provided relief through nutritious food, sunscreen, hats, and more, designed to help the homeless beat our record-breaking heat. We’ve all been hungry. But few of us have experienced real hunger – the gnawing, painful, desperate need for something, anything to put in our stomach. It comes when our kitchen is bare, when we don’t know when our next meal will be. The crippling ache inside drowns out anything other than finding a meal. Not many of us know true hunger. But you know who does? Our kids. In Arizona, 1 in 3 children are experiencing this kind of painful, debilitating hunger. And that has to change. poverty rate among the 25 largest metro areas in the U.S. When 30% of your neighbors are working poor, it’s no wonder that a third of our children are going hungry. We can change that – by removing the need for families to choose between bills and food – and giving them a chance to get back on their feet. The good news is – you are already a part of that change. 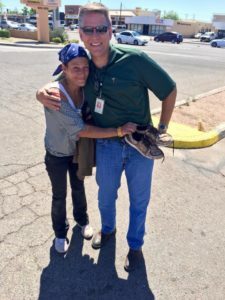 Through your support of Phoenix Rescue Mission, you are making a difference – not only in the lives of hungry children, but their families and their communities as a whole. 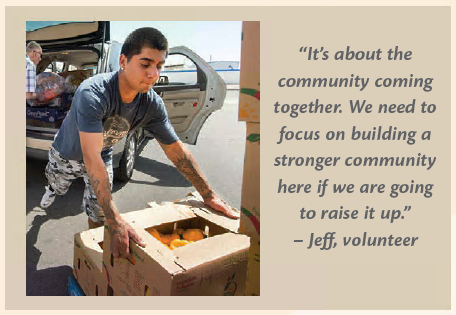 One way you are joining the fight is through Phoenix Rescue Mission’s Hope for Hunger Food Bank in Glendale. 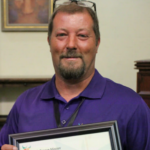 It’s an outreach dedicated to addressing both hunger and poverty. Every day 130 families travel from surrounding areas to find emergency food and more, ready and waiting at Hope for Hunger. 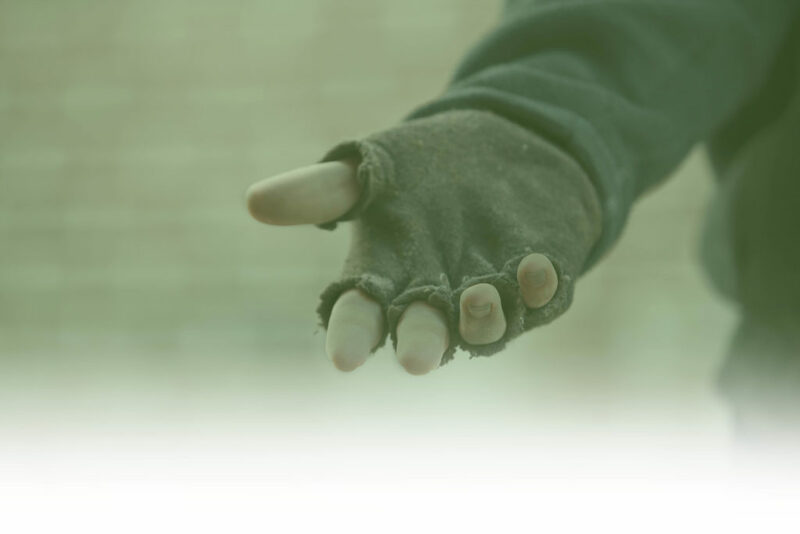 Another way you help is through our Community Market, held every 2nd and 4th Saturday of the month, where we provide families with access to free clothing, shoes, water, and food bags – all designed to give working poor families a hand up. 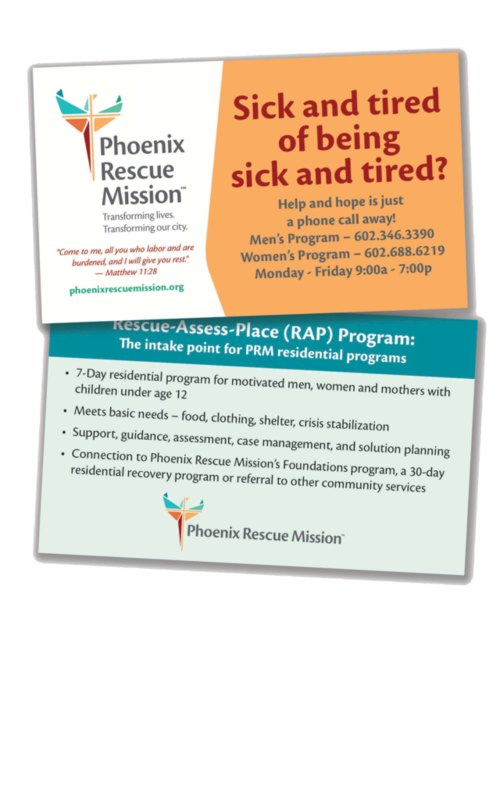 If you, or anyone you know needs help with any of the above needs, email pmolina@phoenixrescuemission.org. 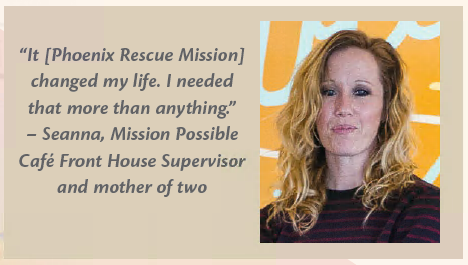 It’s been one year since opening the Mission Possible Café, where your support provides men and women with real-world experience in food preparation, service and management – building resumés and providing a path to well-paying careers in the restaurant industry that puts food on the table. But as great as all these things are, none of them are possible without the prayers, volunteer hours and financial support of friends like you. 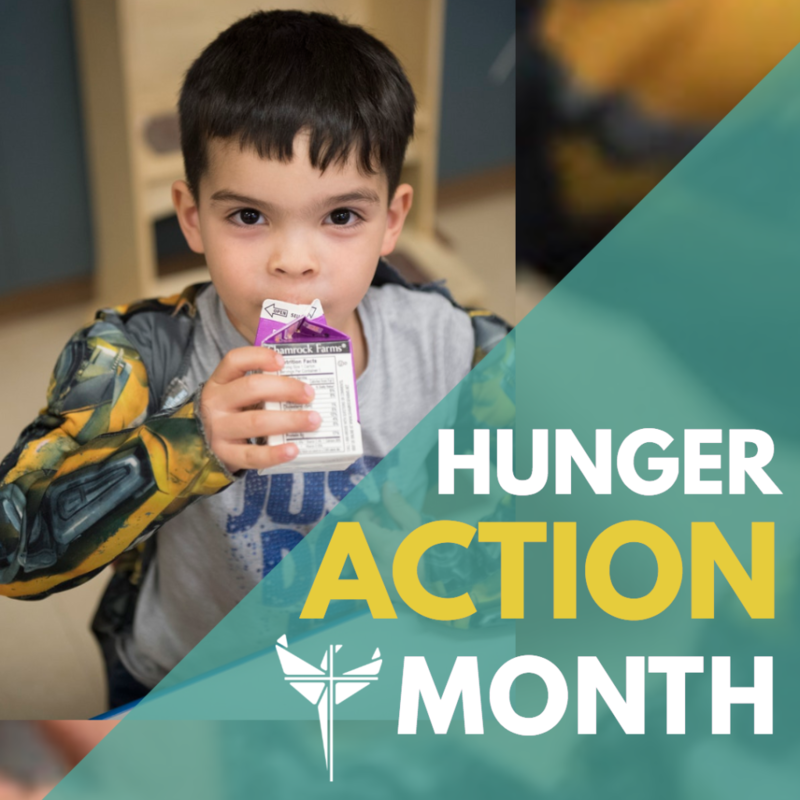 While it’s true that hunger is a huge issue that won’t be solved overnight, allowing a third of our children to go hungry in Arizona isn’t acceptable. 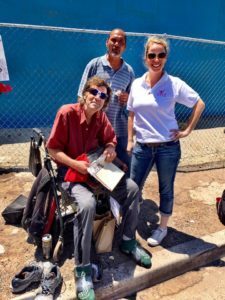 The Phoenix Rescue Mission is committed to providing Christ-centered, life-transforming solutions to persons facing hunger and homelessness. Together, we can change that sad statistic in so many powerful ways. “Then the righteous will answer him, saying, ‘Lord, when did we see you hungry and feed you, or thirsty and give you drink?... And the King will answer them, ‘Truly, I say to you, as you did it to one of the least of these my brothers, you did it to me.’” - Matthew 25:37 & 40 Thank you for the partnership that continues to reach out to the hungry, not only with food, but with hope, help, and a path to true transformation.